Against a backdrop of budget deficits and unrelenting austerity, what does it take to nurture an idea for a new opera and bring it to life on stage? 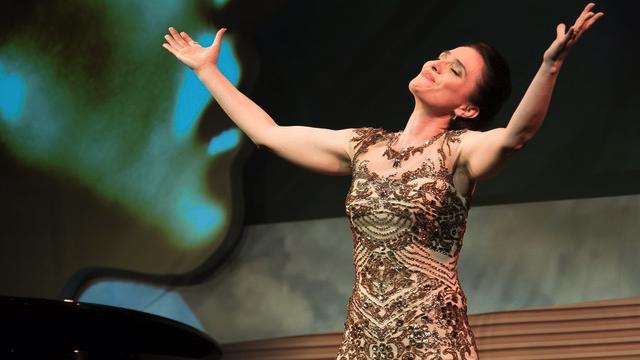 Soprano Joanne Roughton-Arnold describes her extraordinary creative journey in bringing Iris Dreaming to audiences on two continents in opposite hemispheres. 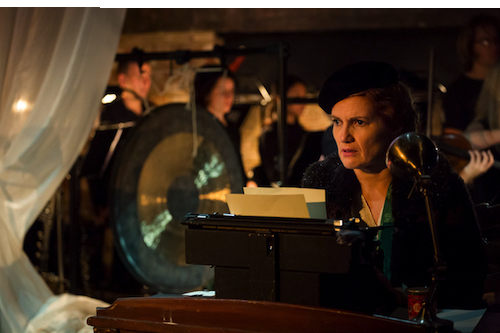 Iris Dreaming is a one-act chamber opera for soprano and ten instrumentalists by Dame Gillian Whitehead and Fleur Adcock CNZM OBE. 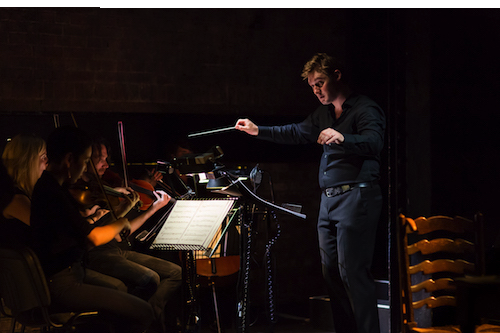 Commissioned by Joanne Roughton-Arnold with funding from Creative New Zealand, the world premiere took place at the Grimeborn Festival at London’s Arcola Theatre in August 2016, and was supported using public funding by the National Lottery through Arts Council England. Additional support was provided by the New Zealand Society, the New Zealand Studies Network and the Richard Thomas Foundation. Joanne gave the New Zealand premiere of Iris Dreaming at the Adam Chamber Music Festival in February in a new orchestration especially written by Gillian Whitehead for the NZ Trio. “Commission an opera”, he said, “Commission a one-woman opera”. My immediate thought was ‘What an incredible idea…” My imagination began to spark and the journey that was to completely consume me for the next two years began. Who could I approach to bring this unformed idea to life? As a proud New Zealander, I immediately thought of Dame Gillian Whitehead, whose music I had first sung during my postgraduate studies and which has remained a favourite part of my repertoire ever since. Her writing combines European and Māori influences with the soundscape of New Zealand’s flora and fauna to create a musical style that is distinctively New Zealand. But would she be open to the idea? After all, she is one of New Zealand’s leading composers whose works are performed and broadcast all over the world. Why would she choose to work with me? My first step was to telephone Creative New Zealand to float the idea and ask if I would be eligible to apply for funding for the commission of this new work. After some encouraging words from the advisor at CNZ, I conquered my stage fright and wrote to Gillian Whitehead to ask if she would be interested in writing a one-woman chamber opera for me. When she responded with ‘I love the idea’ (and after picking myself up off the floor in delighted surprise), I realised that this crazy idea might actually have legs. It suddenly hit home to me that, if I wanted to perform this new work which I was in the process of commissioning, I would also have to take on the roles of fundraiser, producer, and publicist. Clearly I had a steep learning curve ahead of me, and many unfamiliar hats to wear. Never shy of a challenge, I dived in, determined to make it happen. Thankfully I had a wise and patient guide in Gillian who advised me on how to proceed and was always there on the other end of an email with words of encouragement. We set to work putting the creative team together. 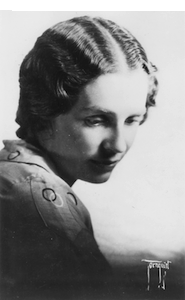 Gillian brought Fleur Adcock, her long-time friend and collaborator, on board as librettist. Sara Brodie, one of New Zealand’s leading directors and choreographers, agreed to direct. Holly Mathieson, a young NZ conductor who is making waves in the UK, completed our line-up as musical director. We now had a dream team of New Zealand creative talent, who all just happened to be female. Holly later had to withdraw because of engagements abroad, but was a terrific source of encouragement and moral support throughout the planning stages. Happily, Jonathan Hargreaves stepped into Holly’s shoes - a superb British conductor and specialist in contemporary music, he is co-artistic director of the Octandre Ensemble which played for the world premiere. 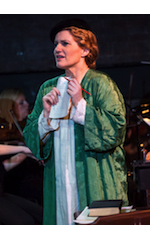 Within moments of being asked to write the libretto, Fleur suggested making Iris Wilkinson (aka Robin Hyde) the subject of the opera. But I had to ensure that we had funding in place to pay for the commission. With my new producer’s hat firmly on my head I set about the Herculean task of preparing a funding application for Creative New Zealand: gathering supporting letters and putting together a budget for the commission and the anticipated costs of mounting the world premiere at a London festival in 2016. Once we had the good news that Creative New Zealand had approved my application for an Arts Award to cover the cost of the commission, Gillian and Fleur were able to set to work on creating this new opera. We settled on Iris Dreaming as the title after realising that Iris had already cheekily been taken by Mascagni. Soon, drafts of the libretto began to appear in my inbox, followed by the score - section by section as Gillian built layers of complexity into the work. What an indescribable joy it was to watch this new piece of art evolve! The whole project felt like a massive roller coaster ride. After the fabulous news about the funding from Creative NZ, we were disappointed to find out that the festival we were hoping to be part of in London was no longer going to take place in 2016. What to do? Certainly not give up! Emails began flying to other festivals in New Zealand. It looked as though we might be able to transfer the world premiere to a NZ-based festival in September 2016, but after we failed to secure funding for the crucial rehearsal period, it became apparent that this avenue was closed to us. Still, I was determined to bring her story to life somehow. After all, I now had the score for Iris Dreaming. I confess that I shed a tear or two when I sat at the piano and sang through Gillian’s music. I was absolutely bowled over by her setting of Fleur’s beautiful libretto. Gillian included plenty to challenge the singer, with the music ranging from quasi folk writing and spoken text through fully lyric sections to coloratura gymnastics. She even provided a mad scene! I love the musical, intellectual and vocal challenges of contemporary repertoire, but always look for dramatic reasons behind the composer’s decisions. 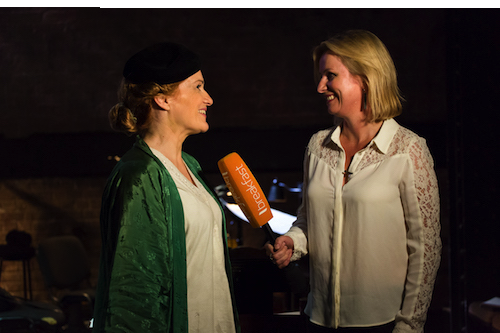 Everything Gillian wrote was there to better express the text and tell Iris Wilkinson's story - Gillian and Fleur had given me the means to become Iris, and all the elements that made her the extraordinary woman she was were clear in the score. Within a couple of weeks of the frustrating news about the lack of platform for our world premiere, the roller coaster took an even steeper upward turn. Out of the blue, I was contacted by the artistic director of the Grimeborn Festival and offered two performances as part of the 2016 festival. Suddenly we were full steam ahead. With only five months before the performances, I had to pull out all the stops to find a five-figure sum to meet production costs and bring all the strands together that make an operatic production, without losing focus on my role as singer and the importance of doing justice to this beautiful new work. Gulp. I spent long nights at my computer tackling the behemoth that is an Arts Council England application. How to fit every answer into the maximum character limit? (The answer is to draft every single answer very carefully… er... and use short words). As ACE will normally only consider funding part of the budget, it is important to have a significant amount of other funding in place in order to have a strong application. I made other funding applications and gave fundraising concerts. I spoke and sang at a symposium on Fleur Adcock’s work and met some extraordinary people along the way, many of them New Zealanders living in the UK who gave generously of their time and money. I was privileged to give a concert at the residence of the NZ High Commissioner in London and am immensely grateful to Sir Lockwood and Lady Alexandra Smith for their support for this project. I am a firm believer that doors can open in surprising places if you are open to possibilities. This certainly proved true when I met Hilary Timmins at a concert where I spoke about Iris Dreaming. Hilary is a NZ television presenter who has been making Dream Catchers, a television series celebrating New Zealanders who are achieving success globally. A few months later, Hilary filmed us in rehearsal for Iris Dreaming and interviewed me for Dream Catchers. After all the to-ing and fro-ing about where the premiere would take place, I was delighted and relieved that Sara Brodie’s busy schedule still allowed her to travel from New Zealand to direct and design our show, and remain very grateful to the NZ Society for funding her travel. We appointed a stage manager (yet another New Zealander) and as soon as Sara arrived in London we spent a busy few days sorting out the costume, set and lighting design. Sara had been working on the concept from the other side of the world with the aid of a plan of the space and my very amateur video footage of the theatre. She didn’t see the theatre in the flesh until about two weeks before we opened! Jonathan Hargreaves, an honorary New Zealander for the purposes of the project, stepped up to the podium and took the baton as musical director. He brought the sparkling virtuosi of the Octandre Ensemble on board who took in their stride the dramatic role they were asked to play in the opera. The familiar pattern of rehearsal began: first music then production, with piano beautifully played by Marc Verter. To see everything come together in the theatre was a huge thrill. The Arcola Theatre proved a welcoming environment to work in, buzzing with creativity and the comings and goings of artists taking part in the Grimeborn Festival. Television NZ came to the dress rehearsal and broadcast an item about our project on TVNZ Breakfast the following day - quite a coup in our rugby-obsessed nation! As Iris Dreaming would only be 40 minutes’ duration, we decided to offer the audience something extra each evening. I found a feature-length television film about Iris made in New Zealand in the 1980s. With permission from the producer, we screened this after the world premiere as an interesting alternative telling of Iris’s story. Nick Fowler led a lively panel discussion with the creative team following our second show: “Iris’s Story: from Page to Stage” - an insight into the challenges and joys of bringing Iris’s story to life. The NZ premiere took place in February 2017 at the Adam Chamber Music Festival in a special adaptation for piano trio and soprano. Once again, Sara Brodie directed and adapted the London staging for Nelson’s Theatre Royal, with the NZ Trio on stage and fully involved in the drama. The smaller ensemble meant we had no conductor - certainly challenging as a singing actor to nail musical cues without the security of a conductor’s downbeat. The NZ Trio are known for their superb playing, their sensitivity and their adventurous programming, and it was a real joy to work intensively with them in rehearsal, to create a real chamber opera in every sense of the word. Iris Dreaming was singled out as a highlight of the festival by the Nelson Mail. It was recorded by Radio NZ for broadcast at a later date and filmed for future upload onto http://sounz.org.nz (The Centre for New Zealand Music). While in New Zealand, I had the privilege and absolute joy of spending some time with Iris’s son, Derek Challis, whose early life features in the opera. Derek and his wife came to a rehearsal; to portray his mother in front of him, to share in his emotional reaction and to receive his blessing for the project was an unforgettable privilege that I treasure beyond any review or applause. Iris Wilkinson (aka Robin Hyde) - Photograph courtesy of the Alexander Turnbull Library, Wellington, New Zealand. What next for Iris Dreaming? We are actively seeking opportunities for further performances in NZ, the UK and elsewhere. We now have a flexible production that can be performed in venues of varying sizes and facilities, either in the full orchestration or with piano trio. It can be performed fully-staged, semi-staged or in concert. 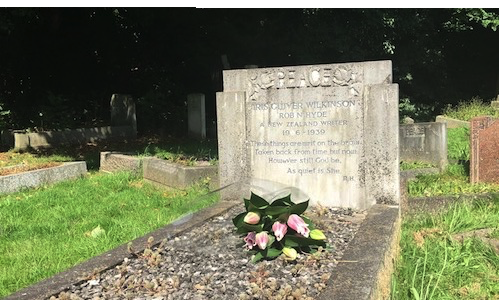 Iris herself faced so many challenges which resonate in our modern world: addiction, mental illness, loneliness, war, and the compassion and love which light a candle in the dark. 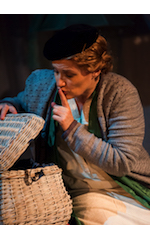 I hope that Iris Dreaming will continue to move audiences and inspire a new readership to the work of Robin Hyde. 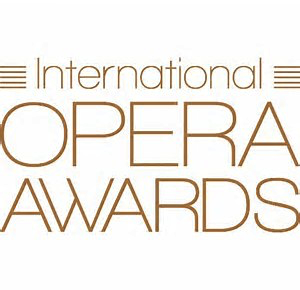 Win two tickets to the 2017 International Opera Awards! Would you like to join Audition Oracle and the opera world’s leading lights at the prestigious International Opera Awards Ceremony at the London Coliseum, Sunday 7th May? We have two tickets to give away! To enter the competition simply get in touch by email, Twitter or Facebook and tell us which of the nominees you would most like to see win! - Competition closes Thursday 27th April and the winner will be announced shortly afterwards. - The competition is only open to residents of United Kingdom ages 18 and over. - Entry to the competition is free of charge and is not conditional on being a member of Audition Oracle. - The winner will be contacted by email no later than 2 days from the closing date for confirmation that they accept their prize. Failure to confirm acceptance within 2 days of receipt of the email may result in the prize being forfeited and Audition Oracle choosing to re-run the selection process to choose an alternative winner. - The prize is non-refundable, non-transferable and no cash alternative will be given. - The directors, management and employees or contractors of any entity within Audition Oracle and any third party involved in the organisation of the competition, as well as their immediate families, are not entitled to participate. - The winning entry will be determined by Audition Oracle at random from all eligible and correct entries. - Failure to comply with the requirements set out in these Terms may result in a winner being disqualified and an alternative winner being chosen in their place. This week our guest blog post comes from young baritone Ricardo Panela. Read his refreshingly honest account of the determination required to keep going in this rewarding, tough and at times unforgiving business. In those moments, more than dealing with rejection, we find ourselves dealing with self-doubt: after all, if we're not getting work, it surely means we're not good enough. Never mind being rational and realising we're trying to make a living in an ever-dwindling market which is only really profitable once you've secured a place on the A-league. The point is that these feelings of doom and gloom naturally overtake the rational part of our thinking and, in all honesty, making music (and singing in particular) is such a personal process that you can't simply ignore there will be an emotional side involved in everything you do. I could just enumerate a few platitudes which you'll be likely to read in any self-help book: stay strong, stay focused, think of all the difficult moments you overcame and how you felt back then, etc. This is all true but not really easy to implement if you're finding yourself incapable of fighting off these negative feelings. On the other hand (and please bear in mind that is nothing more than my personal experience and how my brain is wired), I find that allowing myself the time and space to feel terrible while slowly trying to defuse what triggered the crisis and combing through the situation at a rhythm which isn't faster than my body can take at the moment, really helps me to shift things back into place. 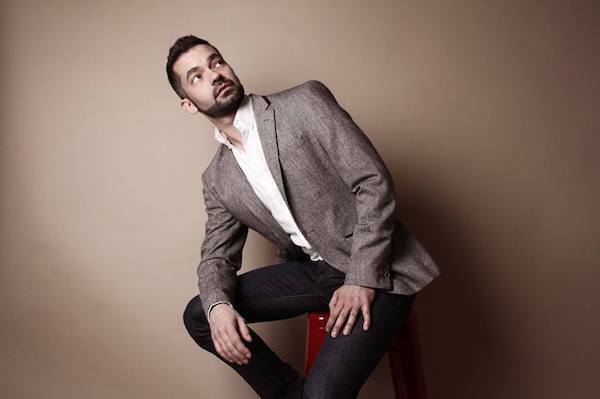 Born in Aveiro - Portugal, Ricardo has distinguished himself for his interpretation of the florid baritone Bel Canto roles, deemed beguilingly sonorous, a technical tour-de-force and mesmerising by different music publications. The 2015 - 2016 season saw Ricardo debut to critical acclaim at his home country’s National Opera House in Lisbon, in Poulenc’s Les Dialogues des Carmelites. Previous career highlights have included the London premieres of Saverio Mercadante’s Don Chisciotte at Leighton House Museum and of Federico Ruiz’s Los Martirios de Colón at the Southbank Centre. The current season will see Ricardo debut at Opera Holland Park as Masetto in the company's Young Artist production of Don Giovanni. Ricardo is also a two-time bursary recipient of The International Opera Awards Foundation, who have generously supported him for the last 2 years. Ricardo studied in Portugal with Juracyara Baptista and António Salgado, and in the United Kingdom with Laura Sarti and Dennis O'Neill, and sang in masterclasses with artists such as Sir John Tomlinson, Montserrat Caballé, Teresa Berganza, Della Jones or Nelly Miricioiu.